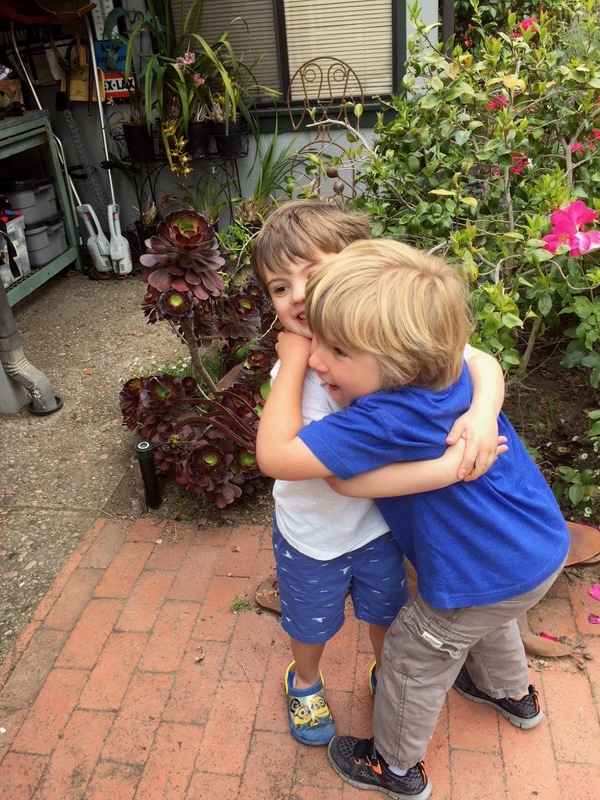 July 24 is National Cousins Day. I think there is a day of celebration for nearly everything. 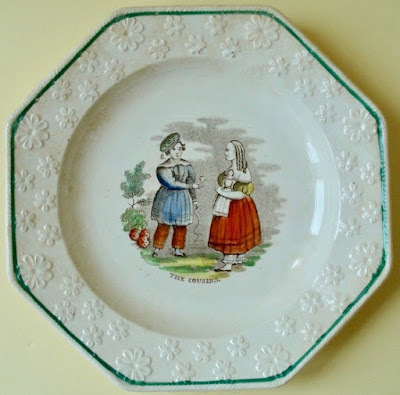 And, there appears to be a transferware pattern for nearly everything too. "The Cousins" child's plate with a molded daisy border. Ornithological Series 7.5 inch plate by an unknown maker, ca. 1820. It features a grebe and a titmouse. 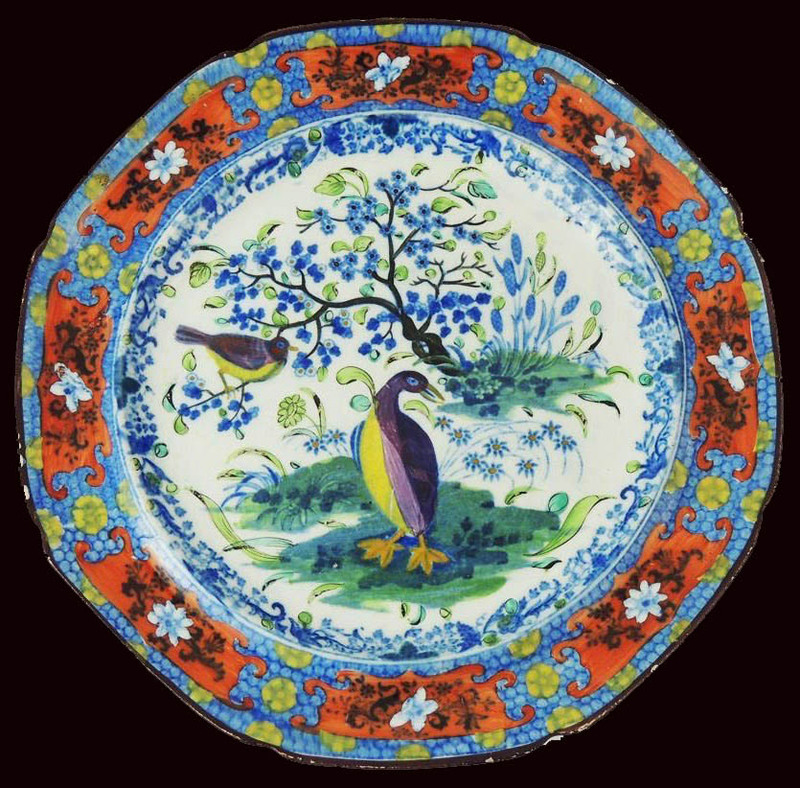 The plate is printed in blue and colored over the glaze in orange, green, yellow, purple, lilac, aqua, and blue. Ornithological 7.5 inch plate without the color. The large bird is a Dusky Grebe and the small bird is a Titmouse. 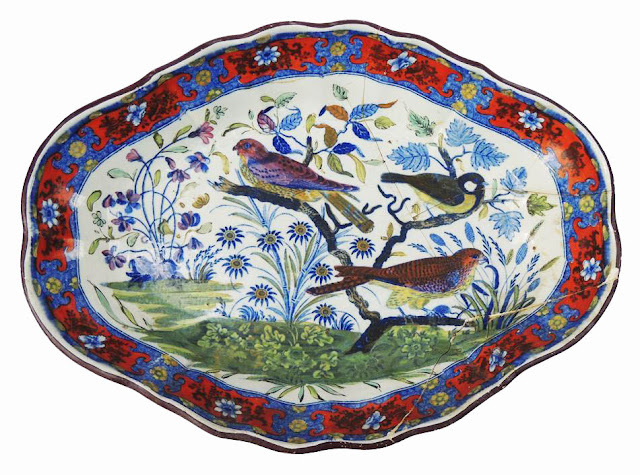 The pattern is from the Ornithological Series that was made in the 1820s by more than one manufacturer. If you like birds, you'll enjoy this series. 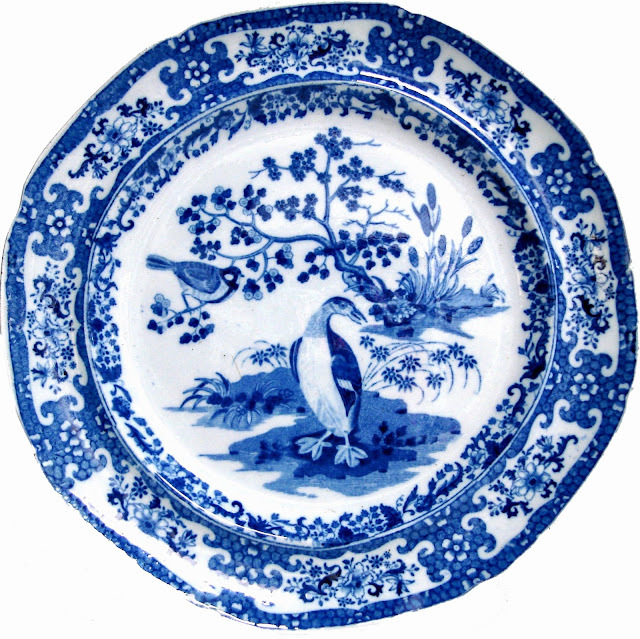 Many of the patterns were copied from Thomas Bewick's 1797 "A History of British Birds, vols. 1 and 2. I started this post by writing about the mesmerizing added color, so I shall add one more colored pattern from this series. A little color makes an amazing difference! *Here's a note on condition. The right side of the dish has a lot of damage. However, if something is rare and beautiful, I'll buy it anyway. If the price is right.